In this 1971 film pianist Barry Margan ‘humps’ his grand piano around NZ, on a mission to bring classical piano to places where it might not typically be heard. Aiming to break down barriers to enjoying live chamber music, Margan plays his pop-up piano (including Douglas Lilburn’s ‘Sonatina’) at coffee bars, libraries and art galleries. The trailer-borne grand is not easy to set up, but the audiences (from soldiers to children) are willing. Narrated by Margan, this was the last film in the National Film Unit's three decade-spanning Pictorial Parade magazine series. Named after the German word for a type of gas chamber used in Nazi concentration camps, 'Gaskrankinstation' was the first single off Headless Chickens' second album Body Blow. 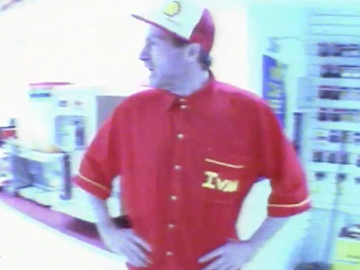 Actor Peter Tait (Bogans, Kitchen Sink) stars as gas station attendant Ivan, whose desperate monologue drives the track, while the band play some comically tortured-looking instruments in the parking lot. Anita McNaught also makes a cameo appearance as the "lady newsreader" of Ivan's affections.